River City Ransom has long held a special place in my game-loving heart due to its unique mix of brawling combat and RPG elements. Enter the recently released River City: Tokyo Rumble, and I found myself sucked into a nostalgic joyride, reminding me why I loved RCR so much while updating the game in enough ways to make River City: Tokyo Rumble a title worth experiencing for the modern player, too. Everything about River City: Tokyo Rumble screams old school action, from the pixelated 8-bit aesthetics, to the catchy but clearly retro-inspired soundtrack. The brawling genre was one of my favourite back in the NES days. In the arcades I sunk numerous quarters into cabinets for Ninja Gaiden, Double Dragon, TMNT and more. On the NES games like Renegade were rough around the edges, but future beat-'em-ups like Double Dragon and River City Ransom became all-time favourites of mine, and from the opening moments this game was remarkably effective in dragging me right back to that time. River City: Tokyo Rumble story is equally classic in its simplicity. Our protagonist is a hot headed high schooler named Kunio and when a gang starts to make life difficult for people in the area (complete with the requisite beat-down of one of Kunio's friend - basically the backdrop to about 90 per cent of martial arts movies from the 80's), Kunio does the only thing a hero in these types of games can do: beat the snot out of the gang. Kunio starts with some basic attacks and can supplement them with a variety of weapons ranging from chains and pipes to bikes and soccer balls. Punch, kick, jump attack, throw and acquire weapons serve as the core combat mechanics. They aren't terribly deep, but the weapons add enough variety to keep things from getting mind numbingly repetitive. 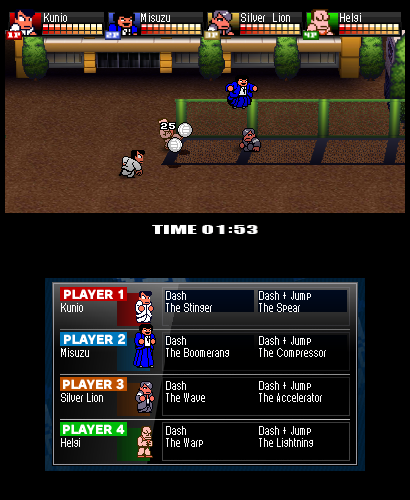 One of the other great things about RCR was how your character could develop as the game wore on, and River City: Tokyo Rumble captures that spirit as well. 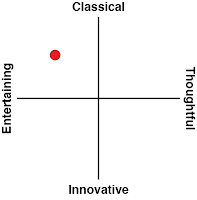 It is certainly more of a brawler than an RPG, but you earn money throughout the game that can be used for immediate concerns like raising your health, but also for growing your character's stats or learning new techniques. This was always a nice system in the original game, because even if you were not the best video game brawler out there, with a little patience and grinding, you could equip your character with the tools for success and eventually move on. River City: Tokyo Rumble is a hard game, though it is notable that the updated hardware versus the old NES allows the developer to throw more bad guys at you than in the original title. Most of the time I could manage them pretty well, but there were a handful of instances where the swarm was a little overwhelming. This can be mitigated by the support characters you can unlock and have tag along with you, but like most AI companions outside of offering you some pretty basic commands such as Charge or Back Off, there is not a lot of intelligence behind your companions and a somewhat weak replacement for what was entertaining co-op in the original River City Ransom. Money is lost if you get beaten - you'll lose half your current cash, but there is no shortage of earning opportunities between whatever fallen enemies drop and the numerous if somewhat boring side missions you can pick up along the way. 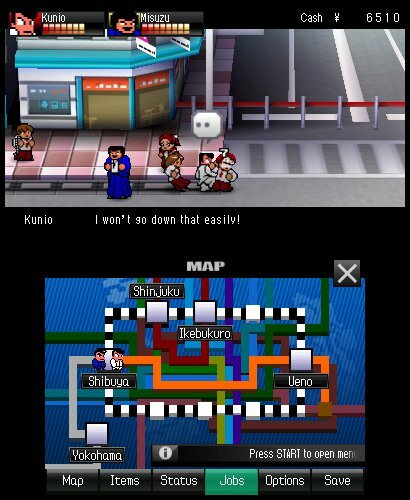 One of the best things about River City: Tokyo Rumble is that it has numerous locations you can bounce around, and there is more of a sense of freedom to your exploration than older brawling games. 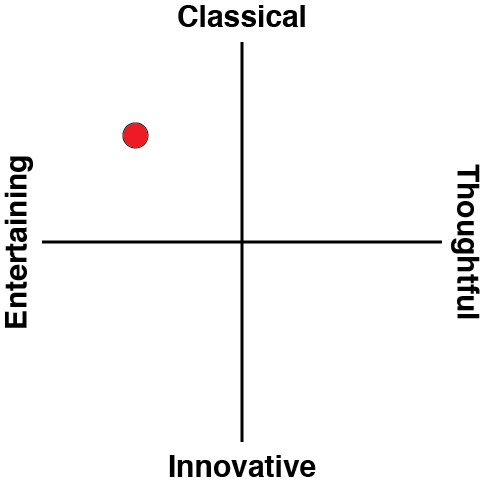 This has always been a strength of the franchise. Where games like Double Dragon were continually pushing you from the left side of the screen to the right, the River City games wanted you to double back and explore. With many of the areas based on actual locations in Tokyo, exploration is one of the game's highlights. Boss battles are one of the few low points, as the game's lack of variety in move sets and visuals really just turns the boss battles into slogs. There are some bonus modes available to you as well beyond the core game, which is relatively short (it took me about five hours to beat). First, you have a New Game Plus option - you know, just in case you want to run through it again and beat the stuffing out of the gang even more convincingly a second time around. There is a Rumble, which just allows for some multiplayer arena combat, and is frankly a little on the disappointing side due to just how shallow it was. Dodgeball was a welcome surprise, as I was a huge fan of that game on the NES. This is a scaled back version of the game, so it is not as good as 'getting a free game' with River City: Tokyo Rumble, but at the same time, it is a welcome little distraction that managed to heap even more fond memories on top of a game that was already hitting me with a heavy dose of nostalgia. 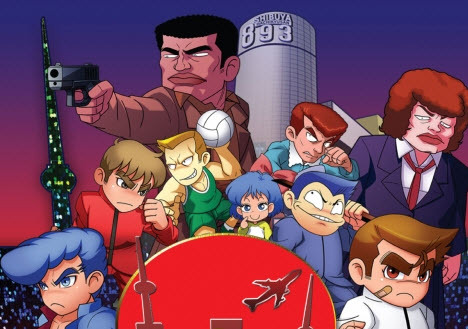 All in all River City: Tokyo Rumble is a fun little adventure that doesn't really take a lot of chances with a formula that was first established about thirty years ago. That might be playing things a little too safe, but it is also a testament to how good River City Ransom was that three decades later the core gameplay still holds up as an entertaining if somewhat shallow experience.